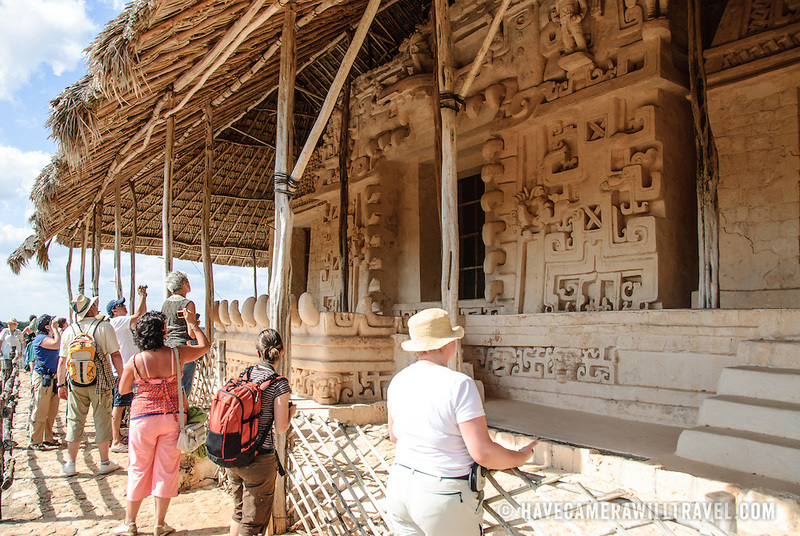 Tourists admire the carved decorations on the exterior of the Tomb of Ukit Kan Le'k Tok' on top of the Acropolis on the northern side of the Ek'Balam archeological site on Mexico's Yucatan Peninsula. It was once a thriving city of Maya Civilization dating to the Late Classic period. It is 30km north of Valladolid and is named for "Black Jaguar" a distinctive motif throughout the site.